Sunday May 4th - After spending half the day wading through "May the Fourth be with you" puns on twitter, I eventually made it out of the flat and hopped on a train to Gipsy Hill to try out Beer Rebellion. The 17 minute train journey from Clapham Junction in the direction of Crystal Palace will put many off, but they will be missing out on a peaceful part of London, and a cracking little pub. 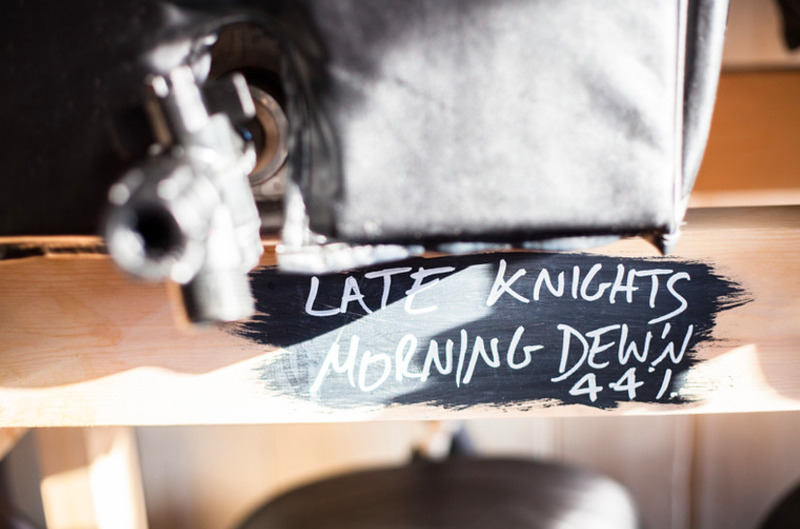 Beer Rebellion is run by the Late Knights Brewery guys, and it just celebrated its 1 year anniversary. It is technically a popup, situated just opposite the station, but they have recently bought up the old betting shop next door so soon it will be a permanent fixture. On top of that, they are planning to open several more beer bars across South London with Peckham and Penge sites rumoured. 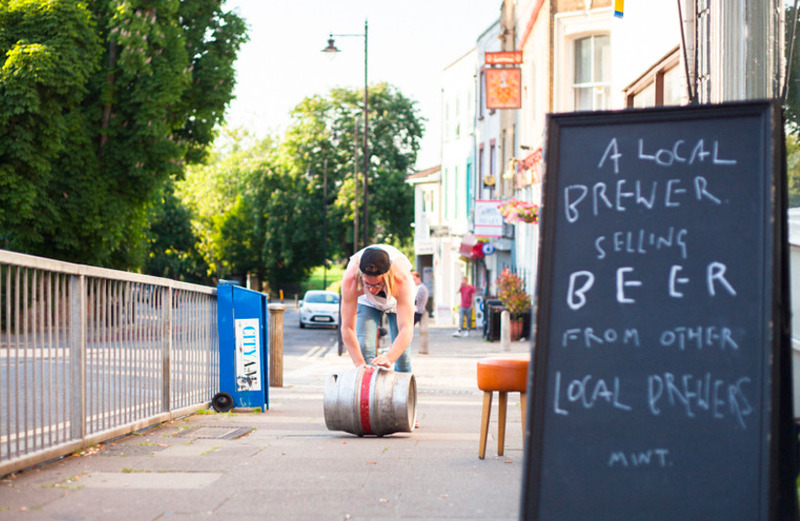 The next to open will be London Beer Dispensary in Brockley around 22nd May. They weren't lying about the hill. 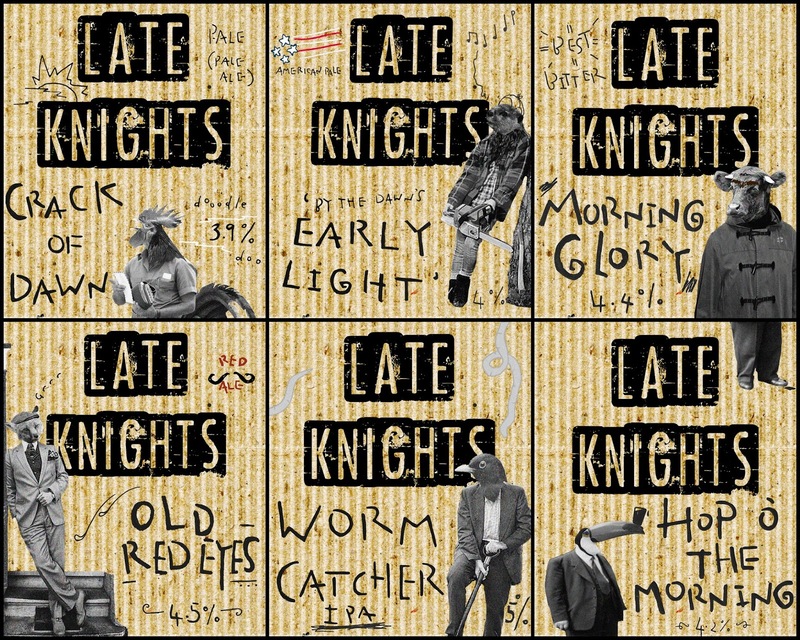 As well as fresh Late Knights beer, they always have several more guest cask ales on. On our visit, Liverpool Craft Beer Co. Hop Beast & Brighton Bier South Coast IPA impressed alongside Late Knights Worm Catcher IPA. Prices are refreshingly low - you can get 3 x 1/3 pints for £3.20! Takeaway cartons are available, and you can also take home bottles from their excellent range. If you aren't a beer drinker, there are a few ciders plus wines & whiskies. 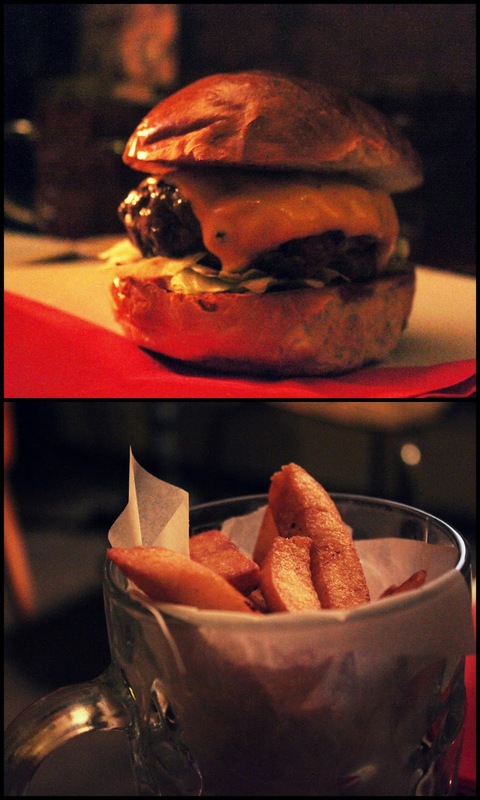 Beer Rebellion also do a pretty great burger. Lauren and I opted for two Wilson Picketts and a pint of chips for £14.50 altogether. As my mother is constantly reminding me, I eat a lot of burgers, and Wilson held his own very nicely. We were already charmed by the location, quality beer and tasty burgers, but the little messages scribbled on walls and doors sealed the deal. "Toilets, innit" was probably my favourite. Add to that a quirky downstairs living room with a mirror on the ceiling, ridiculous board games such as Smokers Wild ("The Hilarious Anti-Smoking Game! "), and a cute garden, and Beer Rebellion really has everything you need! Beer Rebellion is a welcome alternative to the beer tap arms race that is going on between the likes of Brewdog and Craft Beer Co. at the moment - bring on London Beer Dispensary in Brockley! 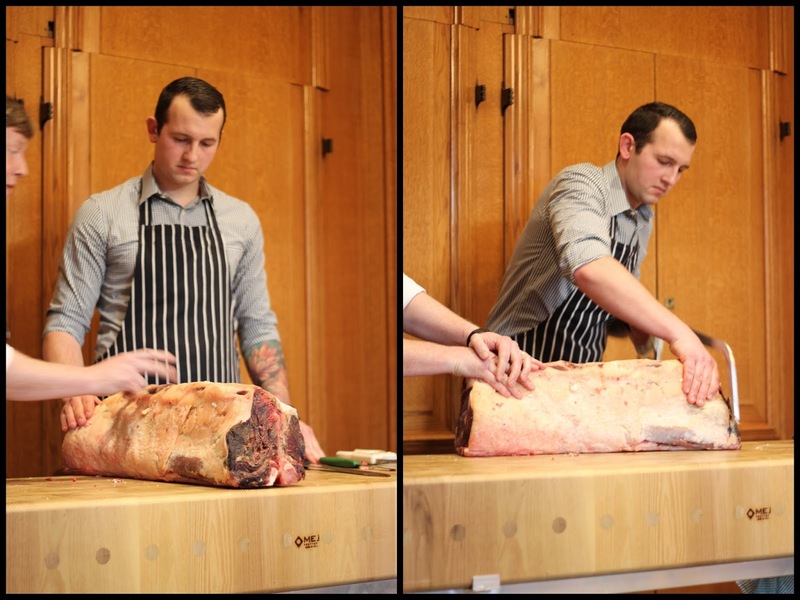 Tuesday May 6th - I wrote recently about Gillray's Bar & Steakhouse without actually eating any steak, but I can put that right now having attended their Meat the Butcher event with O'Shea's Butchers. We gathered in the wonderful bar with sunny views over the Thames for a round of G&Ts (Death's Door & Martin Miller's for starters) before heading through to the back of the restaurant for a butchery demonstration. O'Shea's established the first Butchers in Tipperary in 1789. Now you can find them in Bermondsey on Druid Street, next door to Anspach & Hobday brewery and close to Maltby Street Market & Spa Terminus (which they are part of). 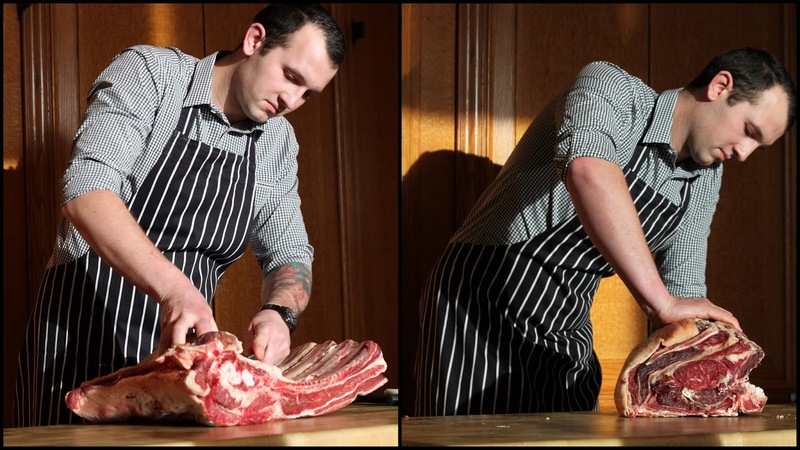 Darragh O'Shea (8th generation butcher) and Gillray's Head Chef Gareth Bowen talked us through proceedings whilst Jozef worked away with hands, knives and hacksaws. A crowd of 40 or so salivated from a safe distance. They made it all look rather easy - apparently any butcher worth his salt should be able to prepare and weigh up cuts from a 75kg hind quarter in around 30 minutes! 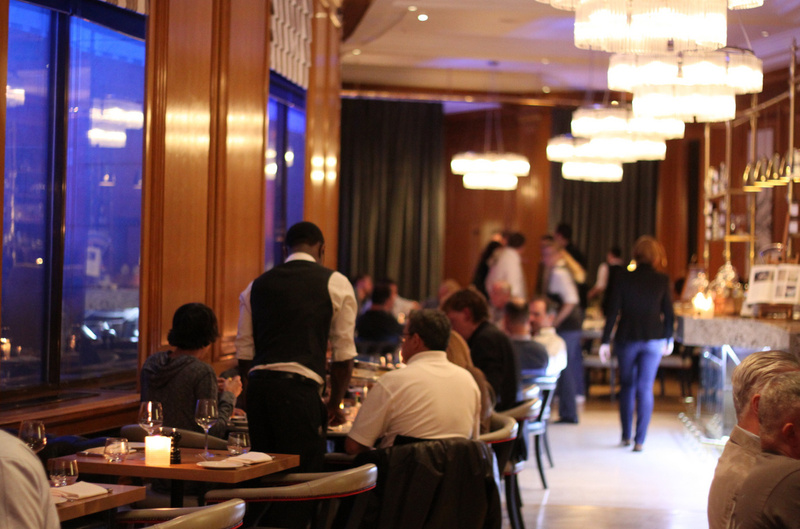 - Bavette Steak is "the monkfish of the beef world"
- 35 days is the optimum length for ageing rump. The carcass has lots of blood, so they put it in a dry ageing chamber with no moisture in, drawing out just enough moisture from the meat so that you can leave your thumbprint in it. Any longer and you might end up with biltong! - Tri-tip is the butcher's little secret cut that most people don't ask for - they like to keep it to themselves! As Darragh said, go and talk to your local butcher, most of them will (hopefully) be more informative than a supermarket shelf! After the excellent presentation, we all moved back in to the dining room to sample Gillray's & O'Shea's finest! 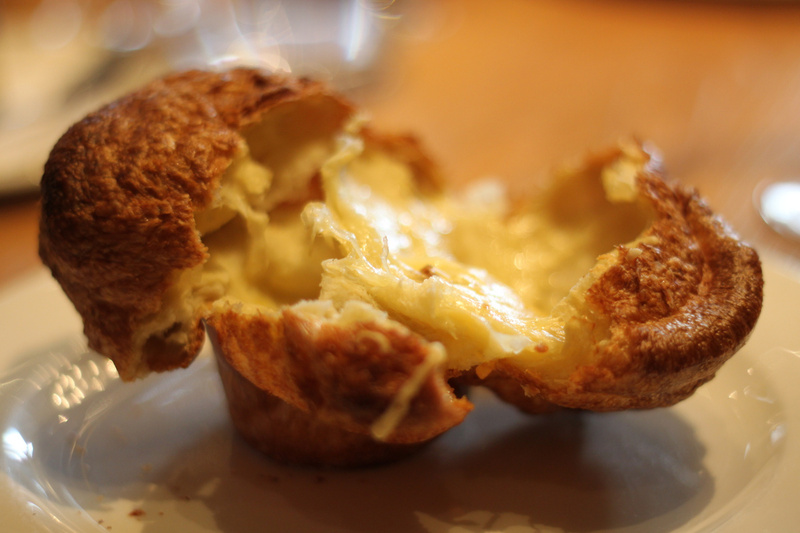 We started with a ridiculous Yorkie - a giant Yorkshire pudding filled with melted Montgomery cheddar, served with a light horseradish sauce. Next up, we were given not one but two generous cuts of meat - a skirt steak and a rib-eye. 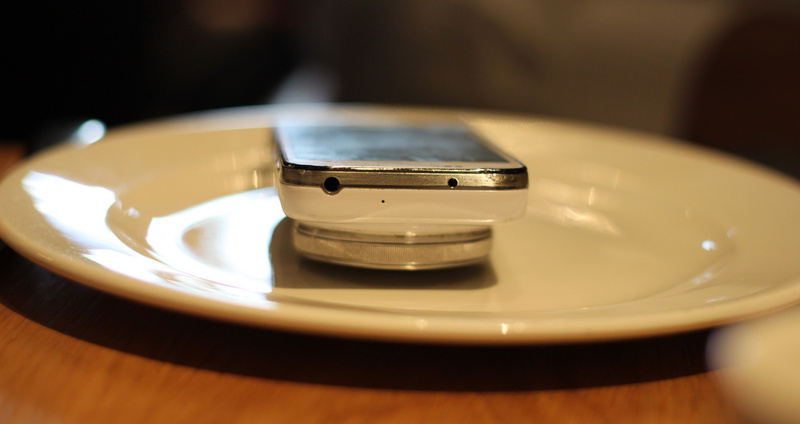 Both were full of flavour and beautifully cooked. A 300g Skirt Steak at Gillray's is £20.00 which I highly recommend with some of their Baked Bone Marrow, and either the Triple Cooked or Truffle & Old Winchester Chips! 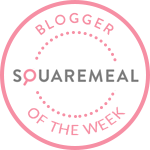 Dessert was two miniature versions of the enormous puddings I raved about last time, Sherry Trifle & Lemon Meringue Pie - read more here. 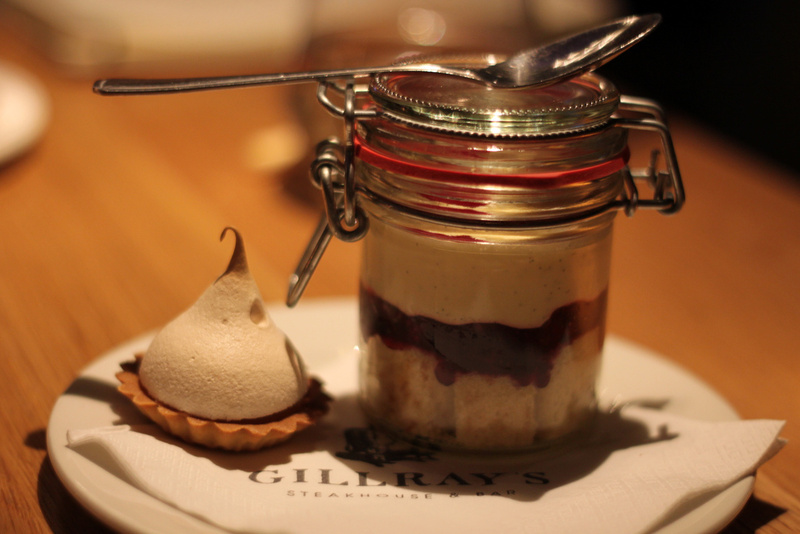 Hats off to Gareth Bowen & his culinary team at Gillray's once again - superb food from start to finish. I couldn't leave without one or two more gins - thanks to Head Bartender Joao for recommending the interesting Saffron Gin for a G&T. As for O'Shea's, go and say hello to them in Bermondsey and buy some meat! They are also firing up a BBQ on Saturday lunchtimes which I will definitely be going along to soon.